If you don’t have much time and need to cook a whole chicken for your family, you don’t need to worry at all. 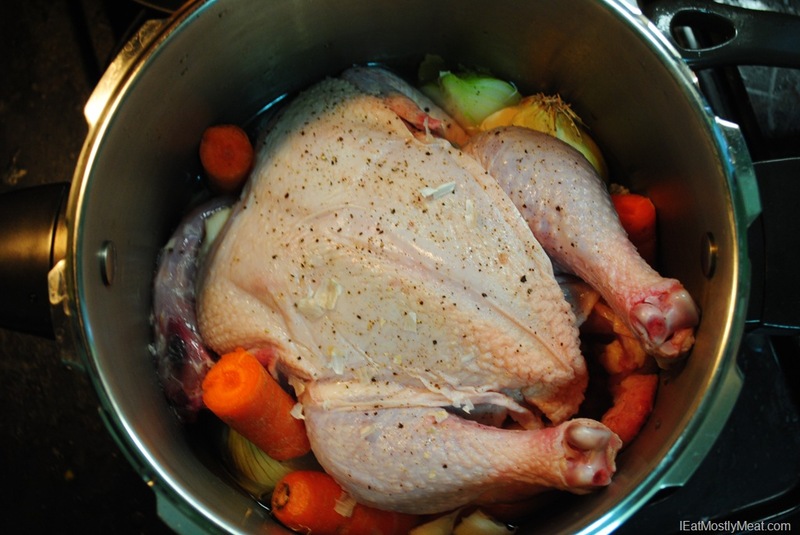 There are numerous ways of cooking chicken quickly and one of those ways is by preparing it in a pressure cooker. You will not have to waste much energy on it and the recipe will be prepared quite easily. All you need is some water, olive oil and a pressure cooker rack. Other than these things, you will have to prepare the chicken before placing it in the cooker. That is also not a difficult task, but you need to make sure that you have your hands on a few important things that are required in order to pressure cook a whole chicken. If the chicken is placed in the freezer, you need to remove it one night before cooking it. This way, the entire moisture will be dried out from it and there will be no issues while cooking it. In case you have forgotten to remove it from the freezer, there is another way of defrosting the chicken. Place it in the microwave oven for some time and you will get the desired results. It is always important to wash the chicken properly before cooking it. There will be a lot of excess fat on the chicken, which has to be removed with a knife. Wash the chicken with warm water and then dry it out in the microwave oven. Just like you preheat the oven before a baking something, the pressure cooker needs to be heated on high flame. However, you need to add a couple of table spoons of olive oil to the cooker, so that the chicken does not burn. Although you can cook the chicken without marinating, it is better to add some seasonings to it in order to get a wonderful taste. Before coating the chicken with seasonings, make sure that you put some cuts on it. This way, the spices will dissolve in the chicken and will taste delicious after being cooked. When the oil gets heated, place the chicken in the pressure cooker. Make sure it gets golden brown from both sides before moving onto the next step. You can now cap the pressure cooker and allow the chicken to cook. Once the pressure reaches the highest point, lower the heat and cook for another 25 minutes to get your tender chicken. History, Tips, and Recipes for Your Next Fondue Party!